Monetize your infrastructure through diversification of hardware services. First of its kind hardware ecosystem for institutional miners and infrastructure providers. Built to create new and uncorrelated revenue streams beyond traditional mining. Modular. Through the core. For infinite scalability. ASIC chipset optimized for Bitcoin mining. Multifaceted chipset for high performance computing and ASIC-proof mining. The DragonDen server was designed for performance, longevity, efficiency, and continuous upgradeability. Modular chipsets dictate the application and allow for streamlined customization of hardware services. Proprietary thermal management system allows for unmatched density and max overclock performance without sacrificing useful life. Plug-and-play system components can be serviced without any tools in minutes vs. hours, resulting in less downtime. 2U form factor and a rail system makes DragonDen the only machine compatible with enterprise-level infrastructure. Powered by AI and server management suite, DragonGlass hardware provides unparalleled value for operators looking to evolve. Shards are plug and play chipsets built for mining and computing services. Shards feature ASIC or FPGA technology, depending on the application, and are individually designed and programmed to achieve maximum performance. DragonGlass uses latest industry leading chips and continuously releases new Shards when chip manufacturers release new and improved models (i.e. 10nm to 7nm ASICs). The digital age and evolving market continuously brings challenges that this machine can solve. Whether it's processing data or aiding in machine learning, DragonGlass is ready to work within the Infrastructure as a Service (IaaS) Model at the intersection of Blockchain and Cloud Computing. First enterprise-grade rig compatible with existing server architecture. Infinitely scalable and customizable. Uses same chassis with any chipset whether ASIC or FPGA. Reduces setup up time by 90% and achieves highest chip density on the market. Everything is interchangeable. 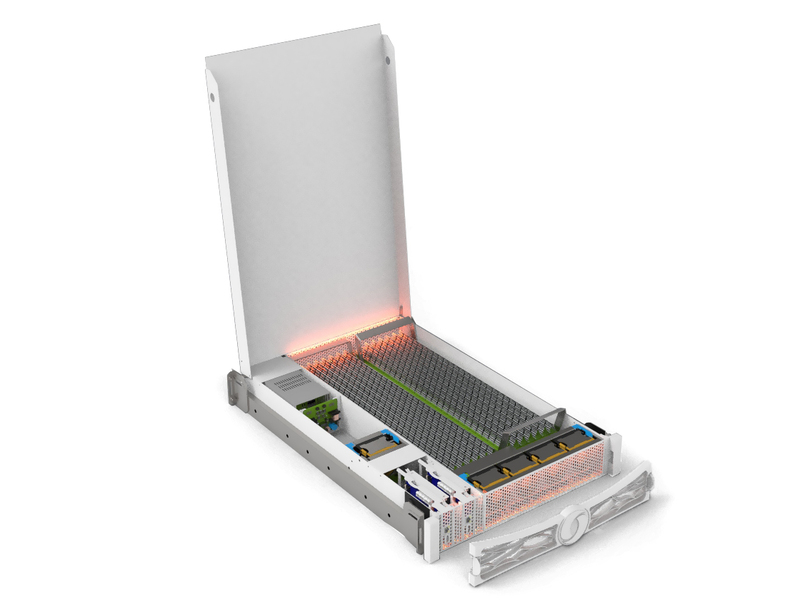 From the plug and play chipsets to the hot swap components, DragonGlass allows for effortless maintenance and chipset upgrades within minutes. DragonGlass’ heat sink and board design allow for max overclock capability without sacrificing useful life. No matter the chip. Bring the heat without overheating. Real time data, analytics, and reporting are at your fingertips with our server management suite. Run a smarter operation for higher profitability. A dive into the unknown and making it familiar drives us. We believe that innovation is a product of exploration, so why not explore daily? With all the world’s information at our fingertips, we can broaden our horizons and constantly increase our potential. Our goal is to stay ahead of the curve. We sell mining machines, but everything we do is made for people. This means not mining on our equipment before we sell it to you, making sure you have someone to answer your questions, and tailoring our systems to excel your mining operation. Are you future-proof? Schedule a demo to find out. Thank you for scheduling a demo, we will be contacting you shortly. Something is missing from the form, please try again.